Marcus DeSieno is a photographer with some amazing ideas. This series, Cosmos, looks at reality and existence at both a macro and micro level. DeSieno takes found images of the universe, prints them to film, then collects bacteria and allows them to multiply on the film; warping and changing the original image into something that is somehow unique, organic and alien all at the same time. He then scans in these images, which kills off the bacteria, bringing full circle the process of creation and destruction we see in life. Stock photography these are not! To see more of DeSieno’s work, check out his work here. This entry was posted in Photography and tagged bacteria, Marcus DeSieno, photography on March 30, 2015 by stellenboschacademy. We take photography seriously. When we see how cheesy stock photography can be and how often it is used (yes, we know it is significantly cheaper than commissioning new images, but come on!) it’s great to see some points being scored for our team. We all know it, we can all spot stock photography a mile away with its sterile lighting and cheesy smiles, but no one has really spoken out about it, or at least made fun of it. These promotional images for ‘Unfinished Business’, a new movie starring Vince Vaughn, take the cheesiness of stock photography and blow it our of proportion for amazing effect. In conjunction with iStock by Getty Images, Vince Vaughn and his costars were photoshopped into pre-existing stock photos, then put up on the site for free use in editorial. Don’t believe us? Check out this link here. Check out the full set in the gallery below. We’ve also included some before and after gifs so you can see just how it was done. What a fun idea! This entry was posted in Photography and tagged advertising, photography, stock photography on March 27, 2015 by stellenboschacademy. To celebrate its 100th anniversary, Coke is pulling out all the stops. It begins with 15 ads that will be flighted globally, with big name directors and actors getting involved. What we’re very excited about though, is what’s being called Mashup Coke, where designers have been tasked to interpret the Coke brand in their own way, with one proviso: They are only allowed to use the official Coke Red, Black and White. Nothing else. You can check out the instagram account for the campaign here. But do also have a look at the artworks here at this slide show. And below, check out the Contour 100 Mashup Art Film. This entry was posted in Design, Inspiration and tagged advertising, Coca Cola, Design on March 25, 2015 by stellenboschacademy. Adidas recently relaunched their iconic Superstar shoe and in true Adidas fashion they got some big names to be involved: Pharrell Williams, David Beckham, Rita Ora and Damian Lillard. We love this moodily art-directed piece by Johannes Leonardo, which tells the story of what it doesn’t mean to be a Superstar in this day and age. 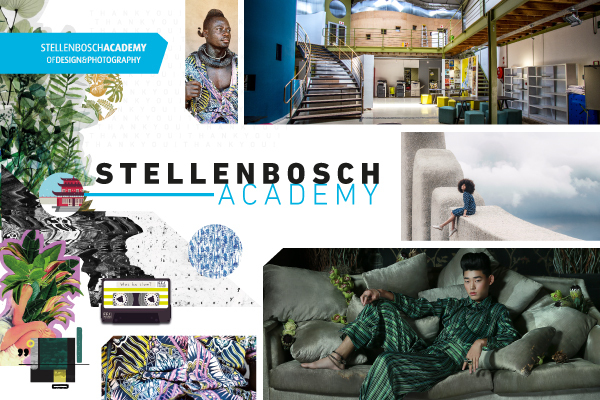 This entry was posted in Art Direction and tagged Adidas, Art Direction, Film on March 23, 2015 by stellenboschacademy. Mike Brodie used to be a photographer. Well… He used to take photographs. When he turned 18, Mike decided to go ‘trainhopping’ – riding freight trains across the United States of America. These candid, poignant and honest photographs are his documentation of that journey. One would think that with such an eye and such a great piece of work under his belt that Brodie would continue down this photographic path. Instead, he now works as a motor mechanic because photography he says, just never really excited him that much. To each their own we suppose! At least we have these amazing images to look at as testament to Brodie’s travels on the railroad. This entry was posted in Photography and tagged mike brodie, photography, trainhopping on March 20, 2015 by stellenboschacademy. The Cooper Hewitt Museum in New York is the national museum for design in America, but it had a bit of a problem. After years of different identities and a three year refurbishment, it was time to update the look and feel. To learn more about that process, check out this talk here, it’s a bit long but definitely worth it. Eddie Opara from Pentagram, Chester Jenkins from Village and Caroline Baumann from the Cooper Hewitt itself talking about the new graphic vision for the museum. But what next? What about redesigning the official typeface? That’s exactly what they did next, and the good news… you can download it for free right here. What a great idea! A new look, a new logo and a new font free to use by anyone. This entry was posted in Design and tagged Cooper Hewitt, Design, Typography on March 18, 2015 by stellenboschacademy. There’s nothing we love more than showing African creative work that is of the highest possible standard. Here, we feature Osborne Macharia who has a distinctive style that makes for arresting, powerful portraiture. Hailing from Nairobi, Kenya – Macharia is someone to watch in future! This entry was posted in Photography and tagged Africa, Osborne Macharia, photography on March 16, 2015 by stellenboschacademy.